Which Is the Best Data Center to Choose? You can’t really say that there is a best data center over another, you need to look at your current visitors and make a decision based on that. If most of your visitors are from a specific region it is important to choose the right data center location to improve the performance of your WordPress site. It will also ensure you get fast SFTP speeds. If you run an eCommerce website, it is important to determine where your customers are located. In this example below, we can see that the Oregon, USA (us-west1) is the fastest from where we are located. 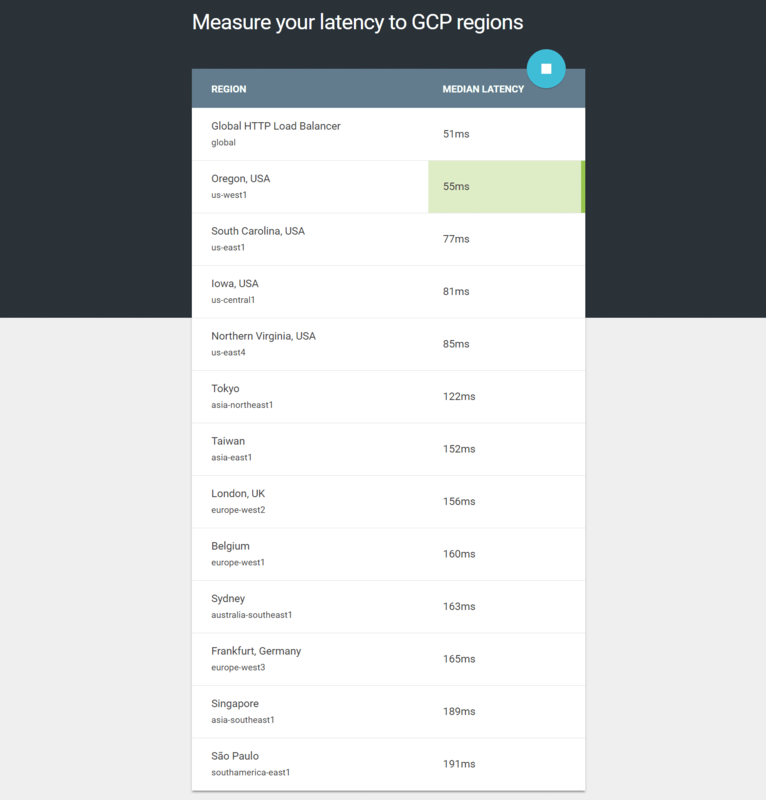 However, if you are are serving customers across the entire United States, it might be better to choose Iowa, USA (us-central1) to ensure low latency for visitors from both the west and east coast. 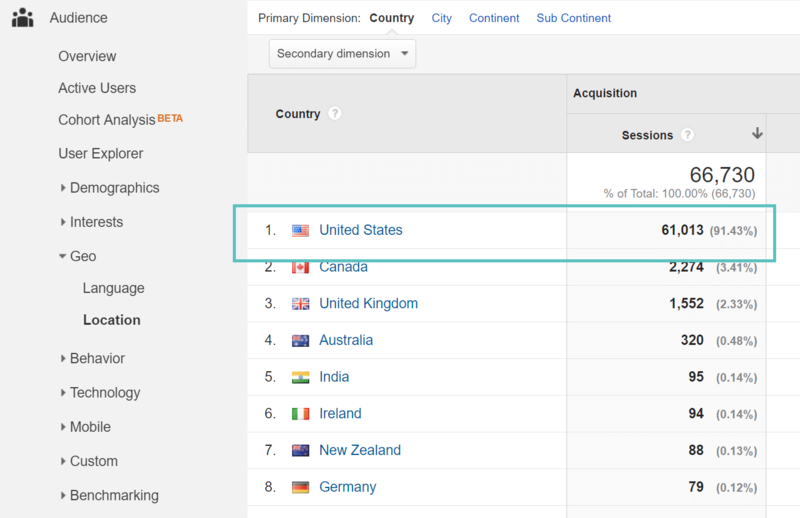 You can also look at the geographical location of your visitors in Google Analytics. In this example, you can see in the screen below that over 90% of the traffic is coming from the United States. So most likely it is recommended for us to choose the US Central data center as that will have the lowest latency for visitors coming from within the United States. If you have any doubts about which data center to choose, feel free to send us a screenshot or a list of the ping results and we’ll help you choose the most suitable location.